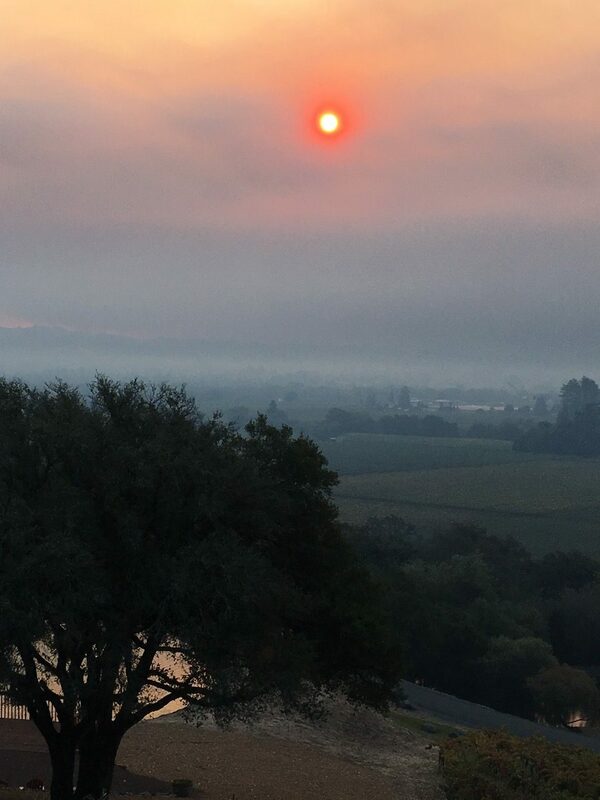 Sunrise at Armida Winery Monday of the wildfires. It’s really hard to put feelings into words for the wildfires which raged this week, and by the way, are still raging. Fortunately for us the active areas are not nearby, but many others are still at risk. And many, many people have lost loved ones, homes, other possessions; we are quite fortunate by comparison. It’s the numbers that still stick in my head. 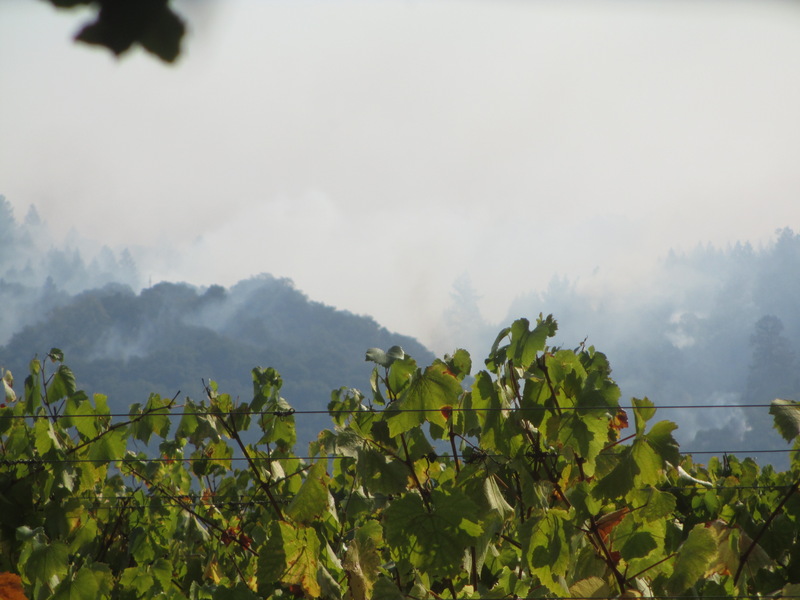 From about 9:30pm on Sunday, when the Tubbs Fire was first reported near Calistoga (north end of Napa Valley) to this fire reaching more heavily populated areas in Santa Rosa (Sonoma County) at 1:30am Monday, the fire traveled about 8 miles. Put a different way, that’s 2 miles per hour, or a little over the length of a football field every 2 minutes. There was no warning for so many people. We were awakened about 2:30am Monday morning by a neighbor ringing our doorbell and pounding on the door. (Thank you!) The hills behind us were glowing red/orange; there was thick smoke in the air. We grabbed our kitten, and what we thought were the essentials, and were out the door in about 15 minutes. (Laptops and cell phones? Check. Charger cords? Oops. Pretty common mistake apparently.) We went to our town square, where a number of people had gathered. One restaurant had heard about the fires before closing time, and had just stayed open all night, providing television, coffee, water and restrooms to any and all. We talked to both our boys. Our younger son lives about 30 minutes drive southwest of us, and thankfully was in no danger from the fires. Our older son had been up since 1:30am or so monitoring the fires as best he could, and at 4pm he and his family left their house. We met up with Brandon and family at his winery, Armida, and spent the next 30 hours up there. Armida had power, had television, had internet. 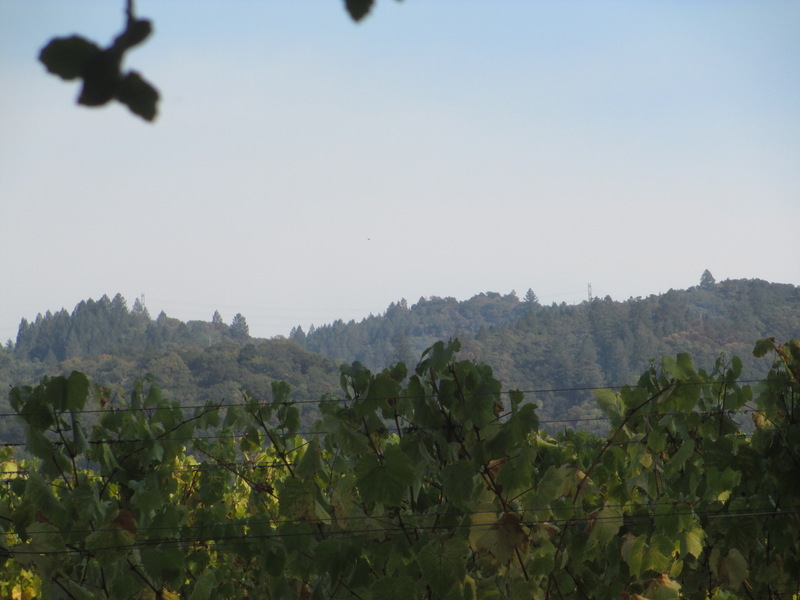 It also had, from the western edge of Dry Creek Valley, views east and north to track the fires. Fortunately, it stayed as a distant (smoky) view, since the fires never got close to Armida. The view from Armida Winery around midday on Monday. We were allowed back into our house on Tuesday. Power never went out, so we still had the food in the fridge and freezer. Internet was out, and the gas was shut off. No hot water (which is a luxury that I will never take for granted again.) Brandon and family joined us at our house, as they still weren’t allowed back into theirs. The view from our backyard on Wednesday. The fires came within about 1/2 mile of our house, and within about 1 mile of Brandon’s house. The view from our backyard on Thursday around midday. One week later, the fires are still burning, people are still sorting through the ashes, and people are still unaccounted for. It’s still too fresh to take any lessons from this, except 1) don’t take life for granted, and 2) think about your emergency go list. 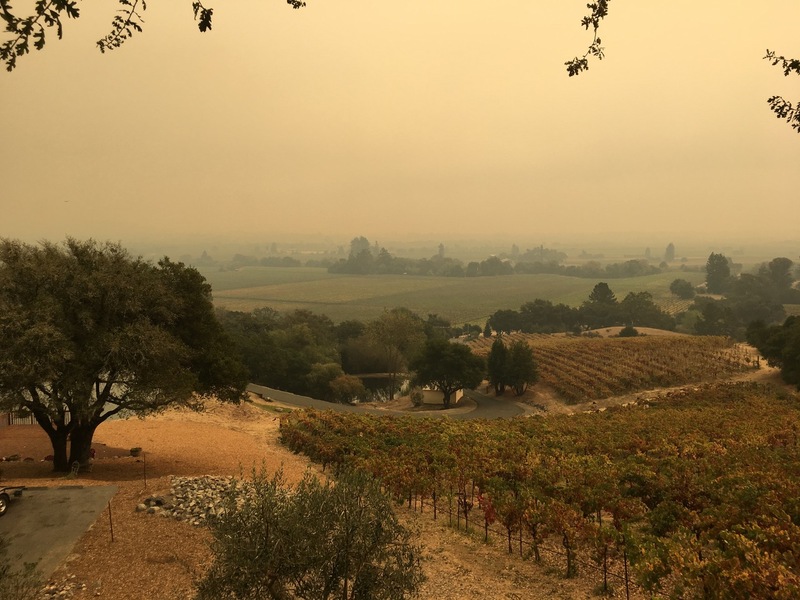 People have asked about the impact of the fires on the 2017 harvest, and on wineries and vineyards. Let’s take that up in a separate post. This entry was posted in california on October 15, 2017 by vvblogman.